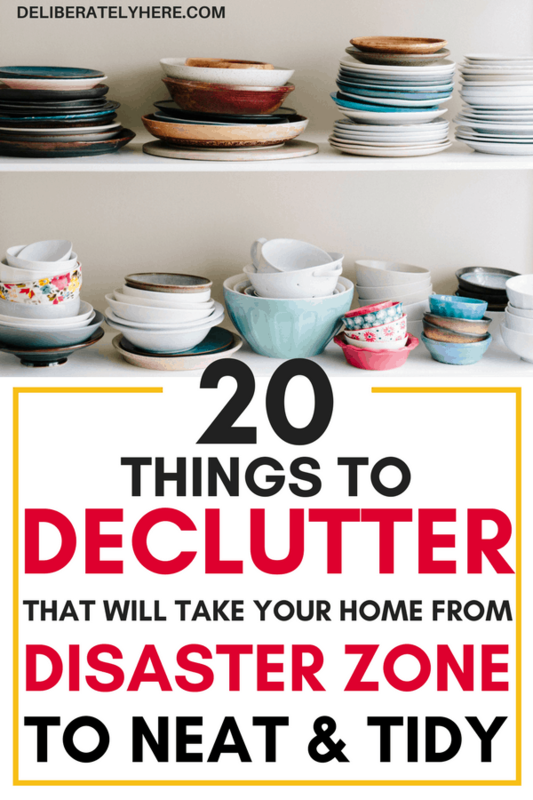 Do you find yourself swamped in the clutter around your home? 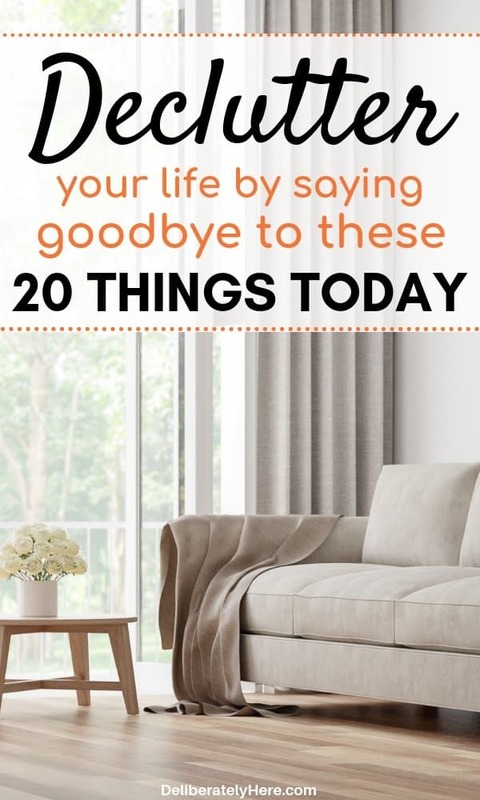 I’ve put together a guide to help you with 20 things that you should declutter from your home today. 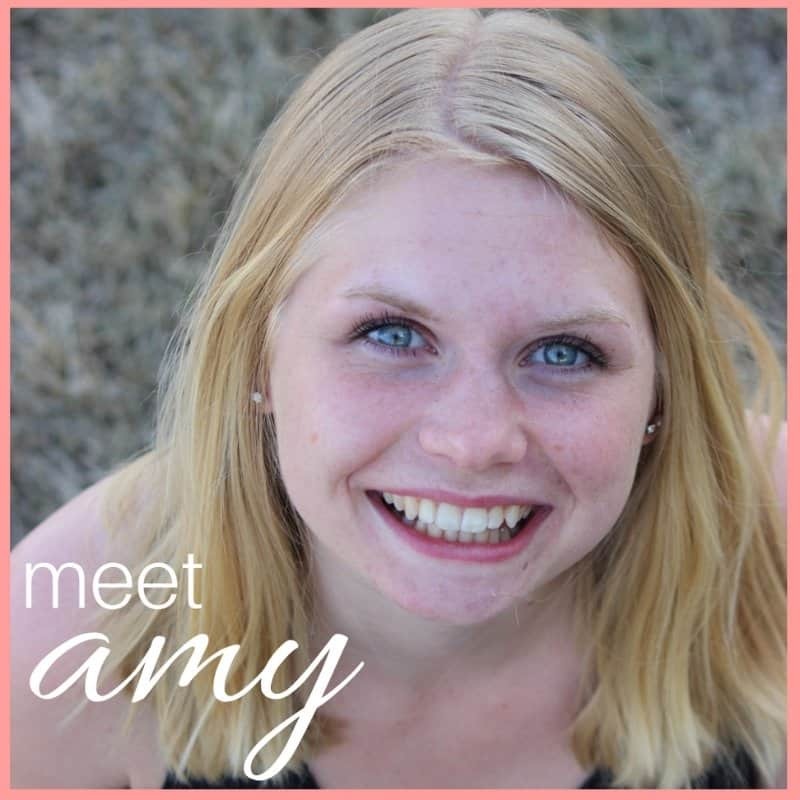 Living in a house that is filled with clutter can make you feel like you’re drowning. It can start to feel paralyzing and like you don’t know where or how to start. Anytime you look at the mess, you get overwhelmed. 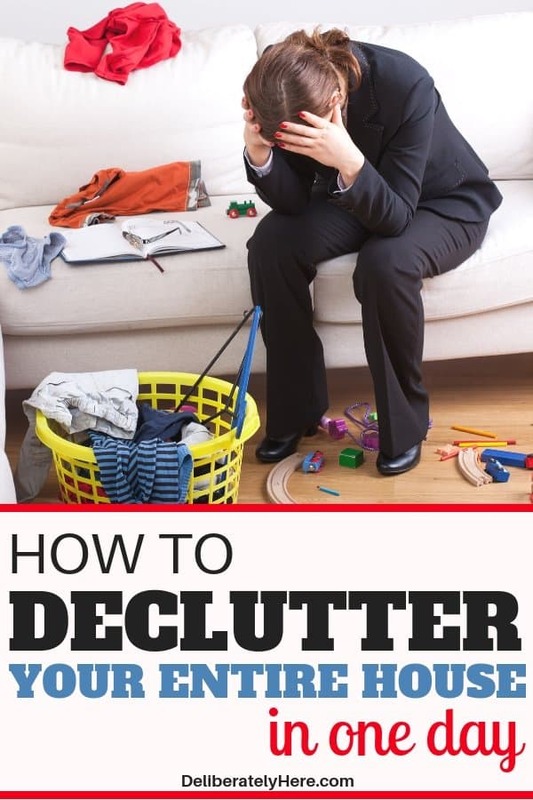 ✅ This is the exact book that thousands of people have used to get their homes decluttered FAST. A study done at UCLA concluded that the average American fridge has about 52 different items on it. Everything from magnets to random pieces of paper. If so, it’s likely that your house might be, too. Clutter in your home and life can bring your mood down right along with your productivity levels. Have you been feeling lazy and gloomy lately? 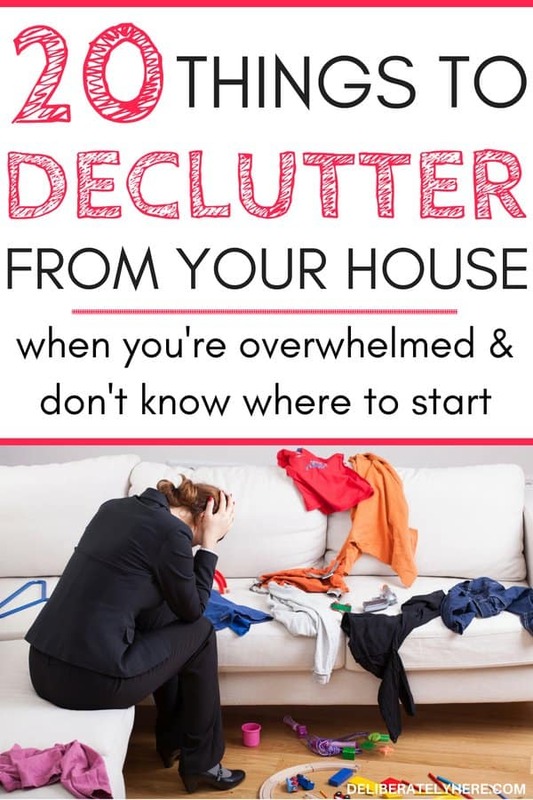 Your cluttered house might be the reason why. Don’t forget to click here and pin this post for later! I KNOW HOW YOU FEEL, AND IT’S EXHAUSTING. When it feels like you’re spending all day cleaning and organizing but you don’t see any progress. Sometimes all anyone needs is a little help to get started. You can use this list as a “declutter your home checklist” to help you start with the SIMPLE stuff. It is OKAY to feel completely overwhelmed by the clutter in your house. 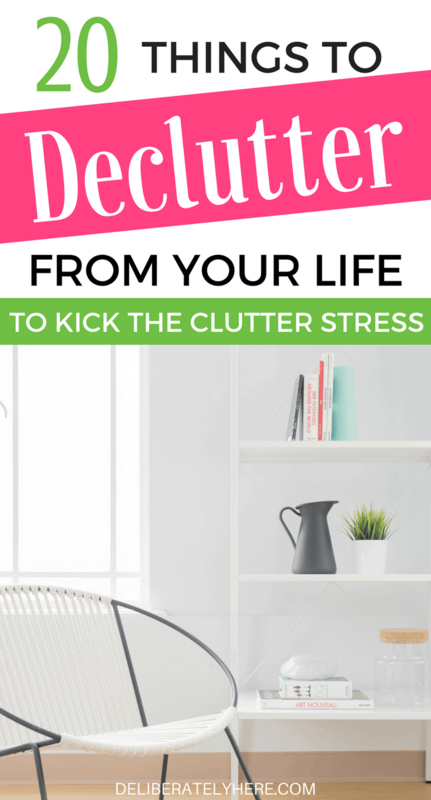 It doesn’t make you a bad person if you don’t know how to get your clutter under control. If you’re here, you’re off to a great start. 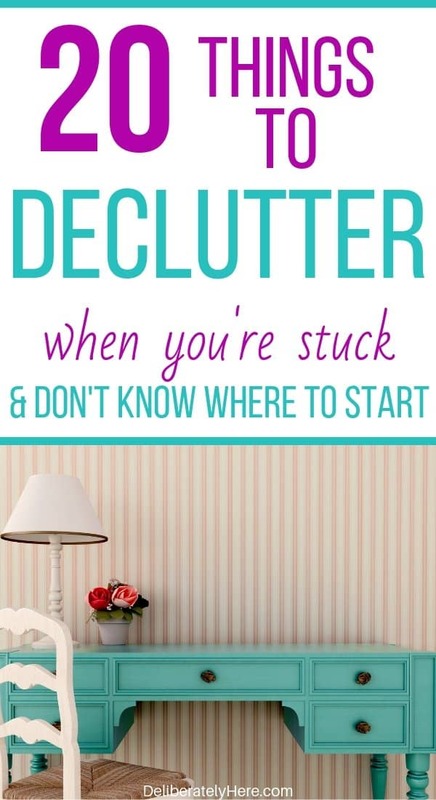 You’ve decided to take a step towards learning how to declutter your house. You’re taking the first steps towards learning different organization tips for hoarders (even if you don’t think you’re a hoarder). Here are 20 things that you should declutter from your house today, to help you start your clutter-free journey. Drawer Organizers. These are extremely useful when it comes to keeping your drawers uncluttered and organized (especially the junk drawer) as you can easily keep stuff in the drawer separated into specific compartments. Eat at Home Tonight Cookbook. I didn’t expect to use this cookbook a whole lot when I got given it, but after trying just a couple of the recipes, I got hooked. It’s filled with all kinds of recipes from quick and easy meals to meals that take just a bit more time. This is one of the few cookbooks I actually use in our house! The Organized Home Course. If you do better with someone holding your hand and walking you through the decluttering and organization portion of your home, this course is INCREDIBLE. Start small by going through your medicine cabinet, working your way all the way to the back. You can use something like this to get the medications in your cabinet organized and easily accessible. It also helps you use up the medications that are about to expire first. This is the one I recommend. Old medications and vitamins that have long expired seem to have a way of growing legs and marching to the back of the cabinet and hiding there…or is that just mine? The medicine cabinet is something that isn’t out in the open and it’s likely that nobody will notice the hard work you’re putting into decluttering – but don’t get discouraged. We’re starting small. We’ll work up to the big decluttering in no time, stick with me. I’m willing to bet if you search deep enough you will find some old movies or CDs that you haven’t listened to or watched in ages, and quite frankly, you’re not quite sure why you ever bought them. Go through your movies and CD’s and get rid of all the ones that you no longer use. Who knows, you might even find an oldie in there to listen to or watch that you can’t believe you ever forgot about! Then, place the CDs and movies that you want to keep in this organizer to keep them easily accessible, but hidden away. This is a section that I struggle with, but am working on. I am a clothes hoarder. I have gotten countless hand-me-downs in my life, and I seem to hang on to every. single. one. of them. You know those old recipe books that you completely forgot you had? Well, those are the ones that you can get rid of without worry. Besides my handy-dandy homemade recipe book, which is more like a recipe bank, this is the ONLY cookbook I use in our house and I haven’t once been disappointed with a recipe! These days it’s so easy to find a recipe online. 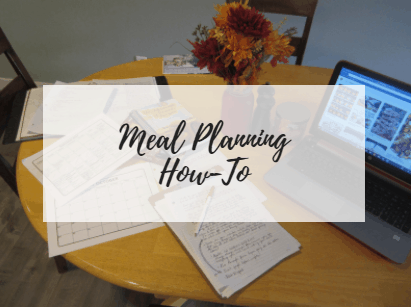 I will admit that there’s something unbeatable about having a physical recipe in your hands – but if you haven’t used a few of your recipe books in ages, and don’t plan on it anytime soon, I think you can safely say goodbye to them. Socks that have lost their match, but you’ve been holding onto for a few months just in case the other sock pops up, can go. The same goes for socks that have holes in them. If your socks have all kinds of holes on them, it’s time to let those ones go too. Our house has pens everywhere. I love collecting free pens anytime I go to places like fairs, hotels, the bank… And no, my husband doesn’t hesitate to point out my odd love of free pens. The problem we now face is that we can’t go through the pens as fast as I collect them. But no matter how many pens one collects, old pens do die away. It’s a good idea to go through your pen basket (or in my case, drawer), and test all the pens to see which ones still work and which ones have come to the end of their life. Toss the pens that don’t make the cut. Another terribly large collection of things I have is shoes. I haven’t bought myself a pair of shoes in quite some time, but I have tons. Way too many. Like my clothes, I have always gotten a lot of hand-me-down shoes (and back in the day I couldn’t pass up a good shoe sale. You know the ones… 3 pairs for $15). Over the years as I bought and got given shoes, I never seemed to get rid of any. So they have just kept on collecting, and collecting, and collecting. And now I have an overwhelmingly large selection of shoes and I wear a whole 3 pairs out of them all. So – at least for me – going through shoes is a good way to get rid of some of the clutter in our home. Storage containers are one thing that I never seem to have enough of, but truth be told, I definitely have too many. They’re just not the right size for what I need. I have many containers, but they’re not doing me any good sitting there with nothing in them, so it might be time to say goodbye to a few of them. Do you have the same problem? My purse is a haven for old, unimportant receipts. I try to go through it at least once a month and throw out a wad of receipts from the place that they have collected in the bottom of my purse. Old mail and unimportant receipts are two things that very commonly collect without people noticing much. Like receipts in my purse, cards pile up in the drawers of our house. I feel a strange attachment to the cards that we get, and feel bad when I throw them away – as if I’m throwing away a friendship (maybe not quite that bad, but close). Until one day I realized how much space these old cards were taking up. Most of them had no sentimental value to me, but I still felt bad throwing them out. But, I decided that they had to go. Keeping only the ones that had real sentimental value to my husband and I. Small to large appliances that no longer work and are just taking up space and causing you stress, need to go. Unless it’s fixable, and you want to fix it, it’s not worth holding on to. That reminds me, we have a broken coffee maker sitting in the back room that we were determined to fix….6 months ago. It’s time for it to go. Cleaning out the fridge can be a daunting task. 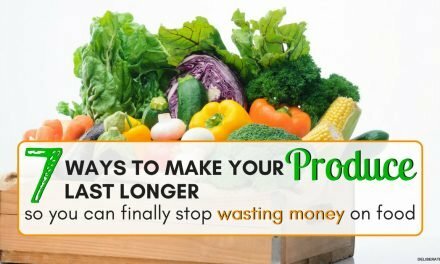 Not only can it be smelly, but it can also feel really, really bad when you start to realize how much food is really going to waste in your house. 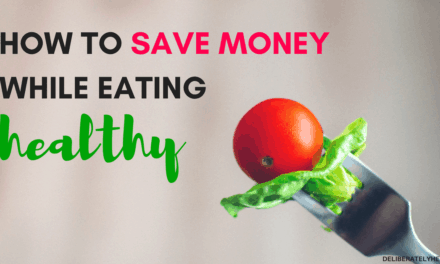 Clean out the fridge and make a plan to give zero-waste living a try. This is a necessity in our fridge. It helps our produce and fruits last much longer and it takes that all-too-common fridge smell out of our fridge. Do you have a daunting junk drawer that you dread to look in? 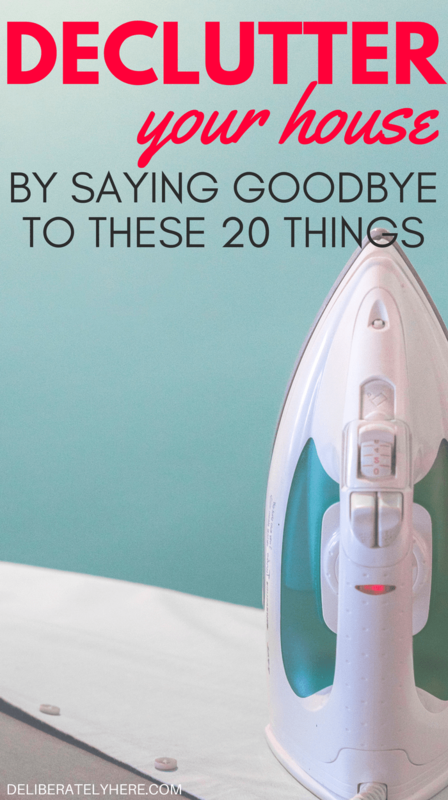 It might be time to tackle it, sort it, and throw out all of the junk, keeping the good stuff and putting it back in the drawer in an organized way, with one of these. Or your junk drawer might be scattered all over your house. If that’s the case, start by tackling one project at a time. 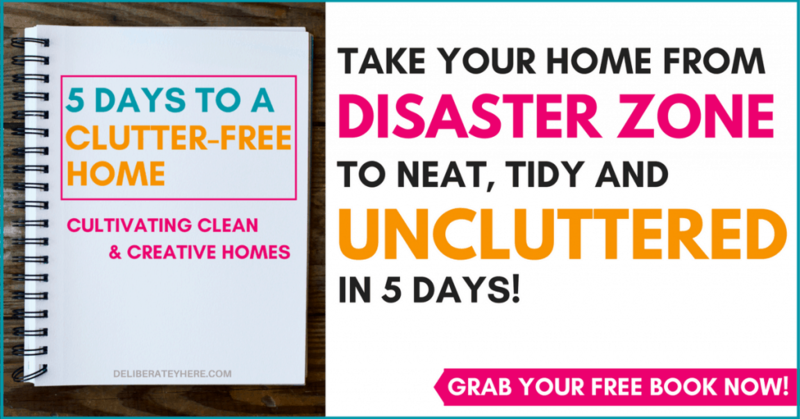 Sign up for the free full home organization challenge that has helped MANY families take their unorganized and cluttered homes to effortlessly organized in less than 5 days! If you’ve got an overflowing cupboard of mugs staring you down, sort through them and keep the ones you love and say goodbye to the ones that are extras. If you have enough mugs for all the people you will have over drinking out of a mug at the same time, that’s all that you need. If your house feels cluttered, take a look at the decorations you have up – that could be one of the issues. Do you have an overabundance of decorations around your home? 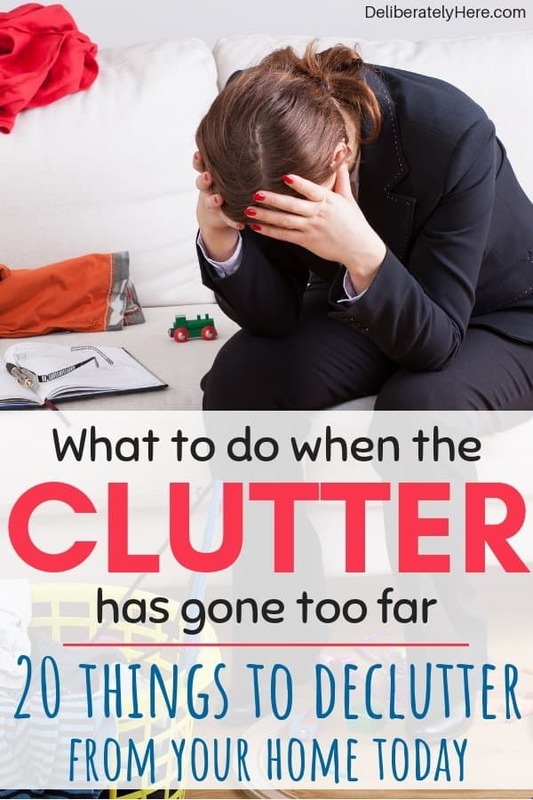 Not only does this cause clutter-related stress, but it also makes dusting and vacuuming a nightmare. Do yourself a favor and get rid of any cluttered decorations that are kicking around your home. Clutter has been proven to decrease productivity, so if your work desk is a cluttered mess, that’s not good. 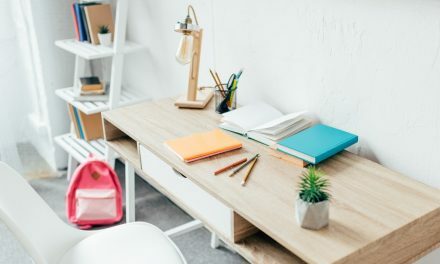 Consider going through everything on your desk and sorting it all into three piles – stuff that has to go, stuff that you will keep, but place somewhere else, and stuff that will stay on your desk. You might even notice a difference in your motivation and productivity the next time that you work at your desk. Books that were a read once, then forget about can go. If they are just taking up extra space on your bookshelf, never to be read again, consider getting rid of them and donating them. If you find you are not pleased with the amount of money you have spent over the years on books that you read once and never again, consider getting a library card and using your local library instead of buying books. If you’re a list person then there’s a good chance you’ve got a to-do list. Look over it and set your mind to tackling everything that you can get done today. Do you have a collection of rags, towels, and bedsheets that should have been gone long ago? If so, sort through them and get rid of them. Throw out the ones that are no longer salvageable, and consider donating the ones that are still in good condition but you don’t use anymore. If most of your sheets are getting worn out and turning into rags, this is my favorite place to shop for new, affordable bedsheets. My husband and I live in a small house, so we have to store our recycling in our front closet until it’s too full then it moves out to the trunk of the car until we have enough to make a trip to the bottle depot worth it. But, it can start to feel and look really cluttered when the recycling starts to add up in the closet, so I try to regularly take it out to the car to get it out of sight. If your recycling is stored anywhere that makes your house look cluttered, consider finding somewhere out of sight to store it until you have enough to go to your local bottle depot. 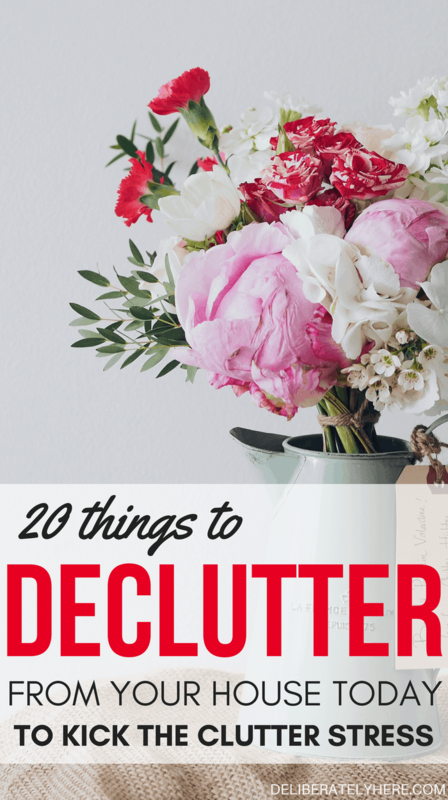 Start decluttering today with this list of 20 things to declutter from your home. START SMALL AND WORK YOUR WAY UP. REMEMBER THAT IT’S NOT A RACE – BUT IT SHOULD GET DONE. If there are some things that you find yourself holding on to and not wanting to get rid of, really take a step back and ask yourself why. 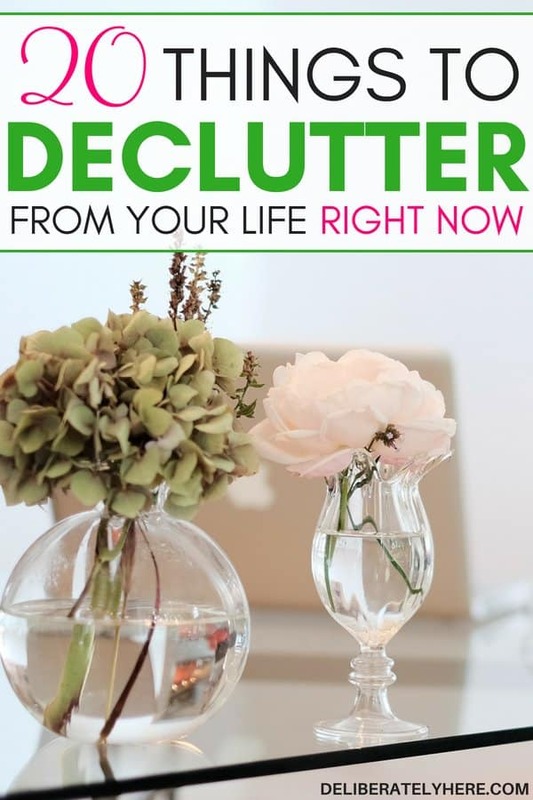 Decluttering your home and life will not only lift your mood but also your productivity levels. WHAT’S STOPPING YOU FROM KICKING THE MESS AND FINALLY BREAKING FREE FROM THE CLUTTER THAT HOLDS YOU CAPTIVE? 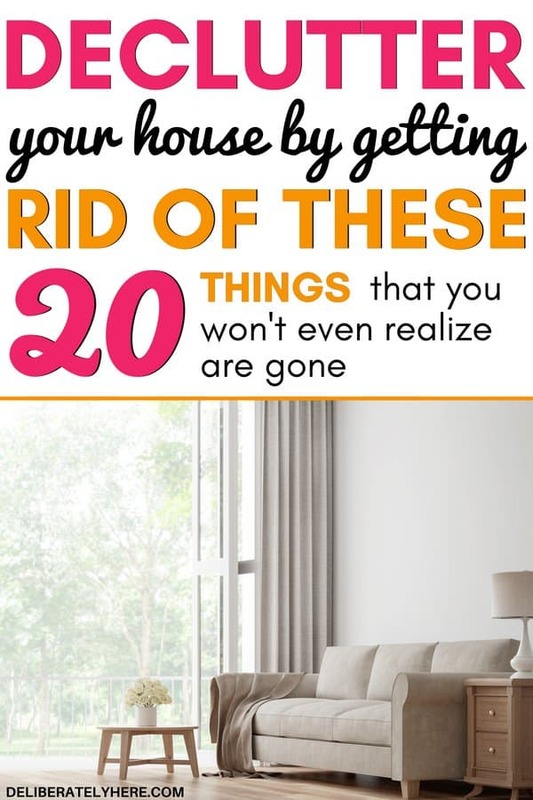 Take this list of 20 things to declutter from your home and start now. You should never ever get rid of your books. Maybe you won’t find time to read them again, but your family members, cousins or friends could. I do love to hold on to books – and I completely agree that if you have the space to store them, books are a great thing to keep for your future self, your family and your friends. But if someone is in cramped quarters and doesn’t have space for stuff, they may have to donate their books. Bad idea. People don’t want to store your stuff. Everyone has enough of their own to keep organized. I have had people bring me things they thought I had room to store for them. It caused me great anxiety just knowing my space had other people’s left overs taking it up. I don’t accept other people’s clutter any more, and politely make my feelings known. That is great that you let people know that you are unable to store their stuff – it’s better to be honest about it than to take it on and have your own house become cluttered if it’s stuff you don’t have room to store or just don’t want to store. I don’t feel guilty about getting rid of books. I sell or donate them. Family and friends either read electronic books, a different genre or not at all. Books are clutter. That is very true, Linda. If they’re not getting used, it doesn’t matter how many excuses someone can come up with – clutter is clutter. Thanks for sharing! These are helpful tips to make a good decision! This was a good read! 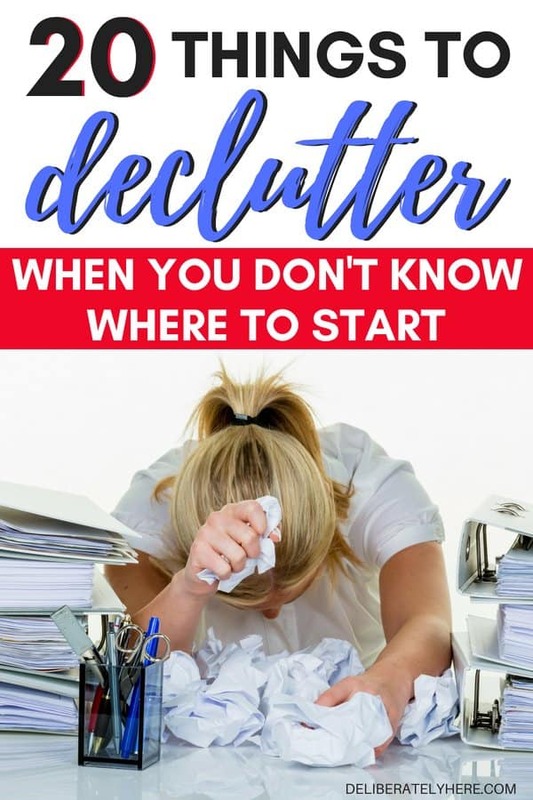 I am excited to start decluttering! All tips are so useful. I believe in minimalistic life and declutter my home every month. I used to have so many coffee mugs but now I just keep 2 and give away rest to my friends. 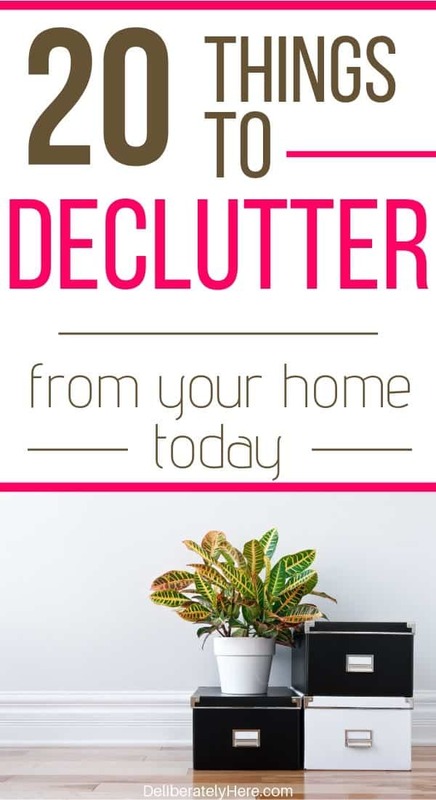 Decluttering your home every month is a GREAT routine to have! I can definitely relate to having too many coffee mugs. It can be so hard to let them go, even though realistically they haven’t gotten used in many, many months. Oh.my.goodness!!! I could have written this. As I was reading through it, I thought, I do that!! Thanks for sharing! Taking pictures of your things before getting rid of them is a GREAT way to be able to still look back on what you need – but not have to keep the item in your house. I love it, thanks for the tips! I personally love my cookbooks and do not intend to get rid of them. I have purged the ones I don’t want, but I will keep the ones I really enjoy, along with my books. I have a couple authors that I have all of their books and will keep them. The rest of the books, I donate and give to friends. As far as other things in my house, I purge on a regular basis. I have every single card that my husband has given me for 21 years and he has mine. I have them in a box and will NOT get rid of them. The thought of taking a picture of them and throwing them away nauseates me. That is so unsentimental and that is what is becoming of this generation. Everything is on our phones and tablets or IPads/Notebooks. There is nothing personal about that. There is nothing sentimental about that. Of course it is considered ok to text a family member and tell them happy birthday instead of picking up the phone and calling them. I believe it is awesome to declutter and keep a clean house. As a matter of fact, I cannot stand a cluttered dirty house! So on that note, I am all for getting rid of things that you don’t need, can’t wear, doesn’t work, etc. But there are a few select things in my home that are untouchable! My mother-in-law kept all her cards from/to her husband. When she had a stroke it was more than I/we needed to know of her/his promises of “frisky” times together! Had to look at each card as she hid money in all sorts of places! Remember – what you save, someone will see! Do you want your family knowing! Where are those things stored? Basement etc. allow them to collect mold spores which almost killed my asthmatic husband. I have great memories in my heart but not in my kids hands. When my husband is at work on Saturdays I have been decluttering little by little. He hangs on to every thing and I mean everything. I got rid of old pens, old worn out clothes, socks, mugs, cd, dvds, canisters, old broken flashlights, books, magazines, even small furniture . Gifts we don’t use. I feel so much better. The other day he commented that the house looked different. I don’t throw the stuff I get rid of in our trash can I asked a neighbor if I could dump it in her trash can. Good stuff I take to the thrift store or give to friends & family. I feel so much better! I’ve long since gotten rid of all that. I recycled sheets and towels into plant covers in the garden. Got rid of old pots and pans I don’t use, donated extra furniture, donated all cups and saucers to the Good will and just use 2 mugs, gave away extra dishes and tablecloths and all the placemats and cloth napkins. I still have a crowded little house.